VoIP has come to mobiles with the promise of free calls for all, so what should the budding cost-cutter be aware of before signing up? Well, first things first, you won't be getting the kind of no-strings-attached deals that have become the norm with computer-based VoIP. But know the facts about what's on offer and it can definitely save - and, in some cases, even make - you money. As the name suggests, Voice Over Internet Protocol or VoIP uses the internet to route voice calls rather than the standard mobile networks, bypassing their set call-plan structure. For most VoIP services you'll need a smartphone with built-in Wi-Fi and browser, and a VoIP software client installed. You're then free to access most Wi-Fi hotspots, log in to your VoIP client and make a call. Rather than being sent across the usual GSM mobile network, though, your call is sent to the client's data server, which then makes the connection between both parties. In practice, how this is achieved varies greatly. Most VoIP providers will give you a dedicated number to use for these calls, which can be accessed alongside your regular number on the same phone, while others allow you to register your existing number. Some services are also capable of using the 3G network if Wi-Fi isn't an option, and add-on services like instant messaging and SMS are common. If you're using Wi-Fi, you probably won't pay for your calls if they're to a fellow VoIP user, although of course some hotspots charge you to log on. Calls that are made using 3G networks are classed as standard data calls, and charged in the same way. This is worth bearing in mind if your tariff doesn't include unlimited flat rate data use. Deciding which mobile VoIP service to plump for can seem daunting, but ultimately it just comes down to priorities. For instance, are you prepared to use convoluted calling procedures in order to save money, or is it important to maintain a normal mobile user-experience? Would you like to be able to send cheap texts and access your instant messaging app, or are you just happy with voice calls? If you're looking for a solution that's simple and doesn't require you to remember any additional numbers, Jajah could be the right choice. Jajah Mobile Web provides a Symbian application that the user runs before dialling a number. The application then contacts the Jajah server over a data connection, which connects with the number dialled and calls the user back via the application. While this may sound complicated, all the important activity takes place in the background, so as far as the user is concerned they are making a call as normal. One VoIP provider that's taken the mobile world by storm is Fring . 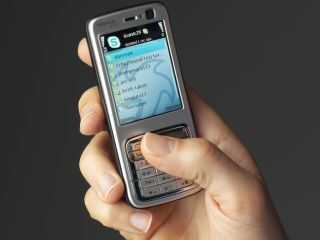 Supporting both Symbian and Windows Mobile handsets, fring can be used to make VoIP calls with both 3G and Wi-Fi. On top of your regular fring line, you can also configure the software to connect to other VoIP services including Skype , Windows Live Messenger and GoogleTalk . Instant messaging is another boon, as is the real-time presence feature that allows you to see exactly who's online. The best bit, though, is that you don't have to pay Fring a penny, as calls are covered by your data tariff's usage allowance. Another big-hitter when it comes to mobile VoIP is Truphone has been ruffling the mobile networks' feathers of late - so much so there have been efforts to disable it on some handsets. Indeed Truphone has just scored a notable victory for mobile VoIP by winning an injunction that stops T-Mobile from blocking access to its networkk. Truphone is a voice-only service that is currently limited to Nokia's E series and N series phones, although a Windows Mobile version is in development. Unlike fring, it won't work on 3G so you'll need to be in a Wi-Fi hotspot to use it. Once you've installed the software, you'll be provided with a Truphone number that can be accessed from within the application to make calls and text from. Credit for calls is added using the top-up method, although like most services, UK-based calls aren't that cheap unless you're ringing a fellow Truphone user or making a Wi-Fi-to-Wi-Fi call. A recent newcomer onto the scene with a unique selling point is Noodle. Noodle offers the choice of two plans: a Noodle Oodles account that works with your existing contract and a dedicated pay monthly SIM card account. Both types give users the chance to earn cash back when they receive calls to their Noodle number, along with substantial discounts on international calls, although the SIM account does entail a monthly charge of £4.95. There's no doubt that Mobile VoIP provides a glimpse into the future, but with third-party providers at loggerheads with the networks, something has to give. The current set-up can still save you money - particularly if you make a lot of international calls and you're using Wi-Fi to ring people on similar VoIP services. However, it won't be replacing your trusty GSM handset just yet.